The aviation industry is growing at an incredible rate and this growth, while positive, poses challenges to key players. Estimates from IATA indicate that total passenger numbers will double in less than 20 years and reach a staggering 7.3 billion people by 2034. To cope with the demand, Airlines will offer more flights or upgauge through fleet renewals to utilize larger aircraft. The number of destinations will also continue to grow with new routes opening every year. To take advantage of this increasing demand, airports need to expand and modernize their infrastructure. The challenges for contemporary airports are big, but opportunities are even bigger. This is partly why the latest gathering of industry representatives was such a success. In mid-March, more than 5000 aviation experts from around the globe attended the Passengers and Terminal Expo Conference, in Cologne, Germany. The WSP | Parsons Brinckerhoff stand was very busy throughout the three-day event. Two of our experts were invited as speakers and 15 members of our aviation team attended presentations, manned the stand and networked with clients and colleagues. In light of the discussion at PTE 2016, we also asked our global aviation team how they viewed the future of the industry. What should we expect? What are the challenges? Safety and security issues are among the biggest challenges of the industry, and this was sadly exposed a few days after the conference, with the attacks in Brussels. “Global terrorism continues to be prevalent and aviation has historically been a target. Airports, governments and airlines need to identify new ways to provide increased security, while providing efficient levels of service and overall passenger comfort,” says Adam Martin, Senior Airport Planner for WSP in Canada, and pilot. There is a need for balance between invisible security and comforting safety. The key word here is balance. “As long as passengers are made aware of the need for increased security, and professionals are employed to determine solutions, there are opportunities for increasing passenger comfort, while increasing security,” adds Joshua J. Horst, Aviation Consultant for WSP in Canada. Despite the attacks, it is important to remember that the industry is ultra-safe when compared statistically to other industries and travel alternatives. Globally, there are very few incidents, but with continued growth, safety might be under pressure in the future. Regulatory measures are important to continue to provide the current and increased levels of safety. These measures allow pilots and passengers to operate in a safe environment, although the aviation regulatory world is undergoing some changes. “With the trend of many governments moving to ‘self-regulation’, the amount of paperwork to support regulatory compliance is likely to increase,” says Adam Martin. However, it must be remembered that the attacks in Brussels occurred in an area that was accessible to all, before screenings… Authorities have a difficult task on hand. “People need to be confident that all measures are taken to prevent a catastrophe in the sky, but it must not be oppressive. It’s a difficult balance,” says Tim Morrison. The overall passenger experience is another big challenge for airport owners and operators. “What I hear is that we need to stop processing people and start engaging with customers,” says Tim Morrison. 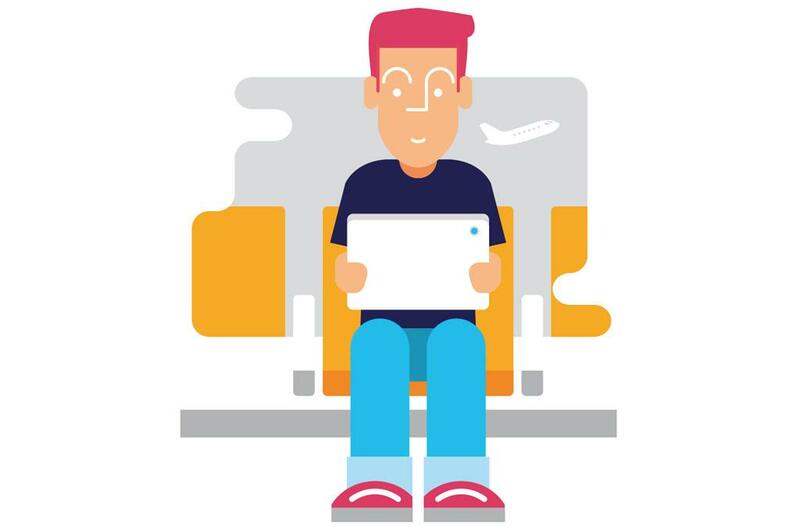 This sentiment captures the balance between the passenger as a ‘monitored item’ and the passenger as a person, as they progress through the airport experience. There is a need to make the process easier and at the same time transform the experience, so that waiting time does not seem to be time lost. “When thinking of a great airport, I often think of innovation, complexity and state of the art, but I also think about seamless transitions from air to land and the boardroom. The journey influences my perspective just as it does any other traveller,” says Joshua J. Horst. The bold idea is to change how people view airports, to show that they are destinations in themselves. What this means is that passengers must be inclined to spend more time (and money) within the premises. And you achieve that with better food and beverage offerings, more services, more luxury brand, etc. One of the interesting evolutions is taking this concept of the destination further, where the airport becomes the business meeting place. With all associated facilities, there is no need to leave the airport. In that regard, European and Asian airports seem to be ahead. “Many North American airports lack passenger amenities, such as short-stay hotels (a few hours for layovers), casinos, high-end restaurants, beauty salons, etc. These amenities help improve passenger experience and also contribute to the airport’s overall revenues,” says Adam Martin. This is true for travellers as well as for the people who are with them. The same is true for arriving passengers, who are often neglected. “They need a decompression space. The idea is to maximize the use of dwelling time. This is not just for transfers, but for arrivals as well. This is their first impression of the city/state/country. If nothing is done, it’s a real missed opportunity,” says Tim Morrison. We live in a competitive world and airports, like other commercial entities, compete with each other on a global scale. That is especially the case for bigger airports, who wish to become the hub of choice for passengers and airlines. “Since air travel supports economic growth by connecting worldwide marketplaces, it is likely that the business pressure on the aviation industry will increase in a world where global enterprise is becoming more popular,” summarizes Adam Martin. But as Airports transform into destinations, they must keep an eye on their carbon emissions. The challenge is how to go about building or modernizing while having a minimal impact on nature. To cope with that, airports throughout the world are encouraged to participate in an accreditation program that recognizes their efforts in managing and reducing their carbon emissions. The Airport Carbon Accreditation program is administered by WSP | Parsons Brinckerhoff, on behalf of ACI EUROPE. So far, more than 150 airports have been accredited around the world. “We are very proud that this program is recognized by the UN as having real environmental leadership in this vital area, as we achieve growth that doesn’t cost the earth,” says Tim Morrison. WSP | Parsons Brinckerhoff’s experts have overseen many environmentally successful developments. The key is matching airport activities with design elements that provide efficiency and increase passengers’ experience, while making sure the carbon footprint is minimal.